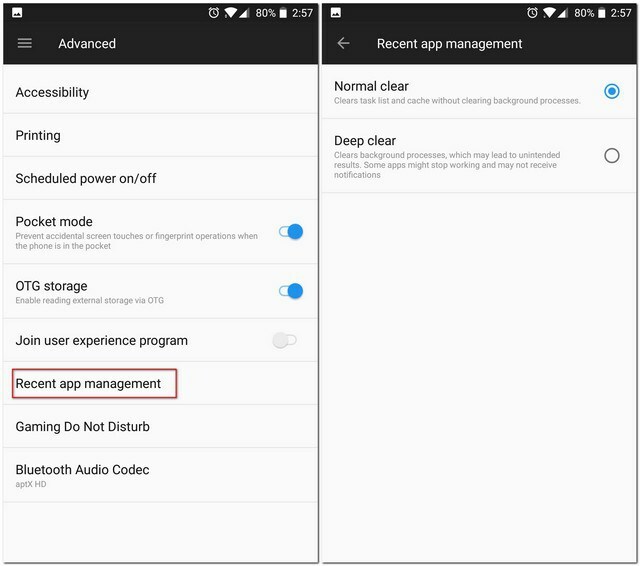 These steps are for fixing notifications on OnePlus devices. 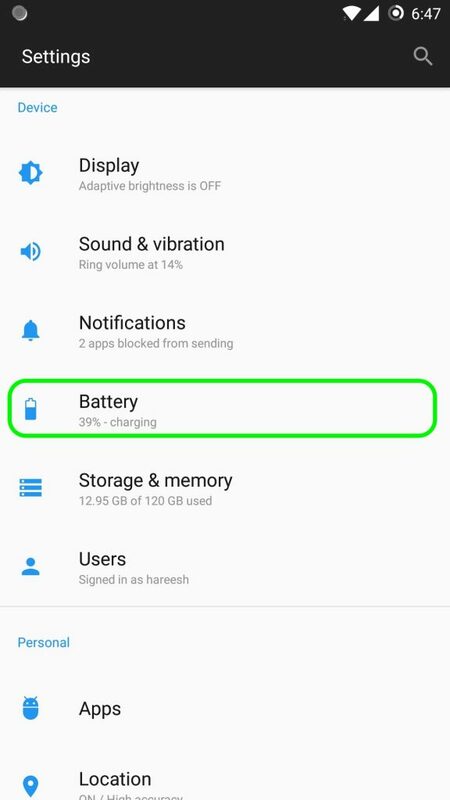 These settings may be different depending the version of Oxygen OS on your device so please read through all the options mentioned below. 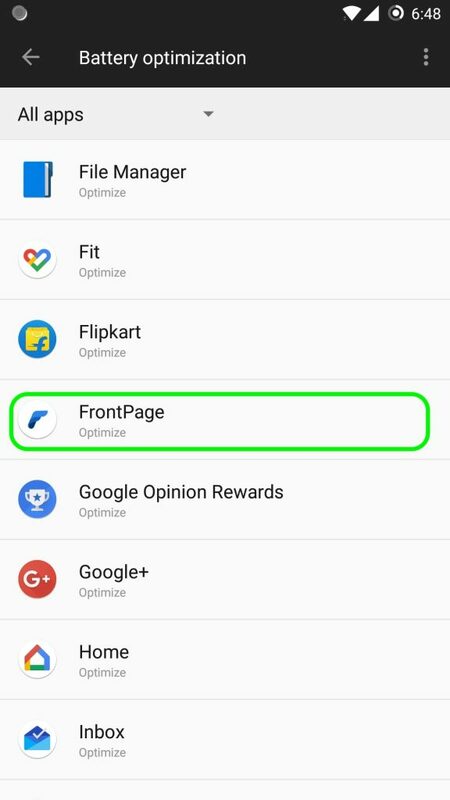 Find FrontPage and ensure it’s set to Don’t optimize. 4. 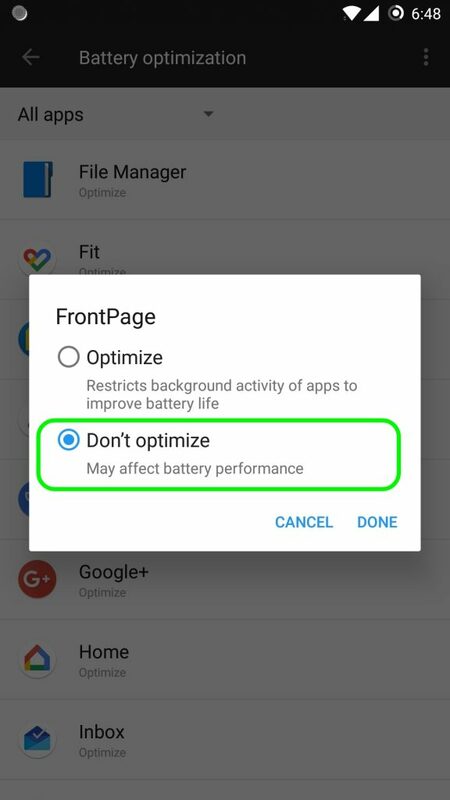 Select “Don’t Optimize” from the options and tap Done. 4. It should show Don’t Optimize in the list of apps when you come back to the list. 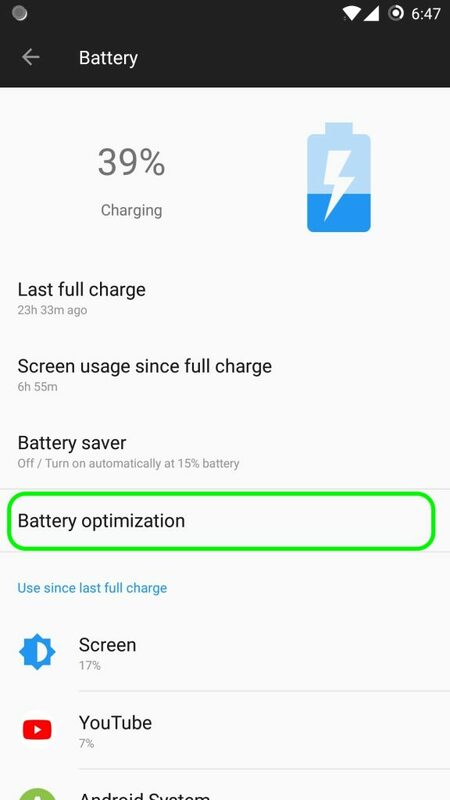 In the list title “Optimized”, scroll down to FrontPage and Turn ON the buttons next to it. 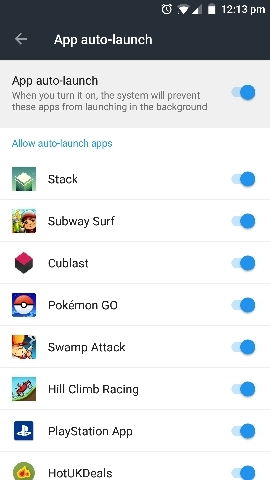 If FrontPage is shown here, disable it. Make sure normal clear is selected, not Deep clear.